This is a small (48cm wingspan), lightweight single-line kite suitable for beginners. Covered with holographic foil, it doubles up as a useful bird-scarer and once in the sky it spins as it flies, catching the light – these kites have reportedly generated UFO sightings. Age recommendation: 8+. Flexifoil was set up in 1972 by two Cambridge graduates. Now a global brand, it also makes power kites and kitesurfing equipment as well as traction kites, like the Sting 1.2. 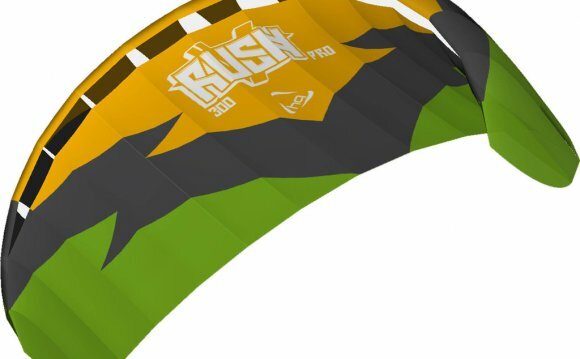 The numbers refer to its flat surface area of 1.2 metres, and this is one of Flexifoil’s beginner kites, a four-line model designed to safely introduce kite first-timers to the world of traction kiting. Colour-coded lines make it easy to assemble and launch and once up, it is a stable flier and easy to control. This aerodynamic, dual-line model is made from spinnaker nylon and cuts through the skies with a pleasing whistling sound and fantastic responsiveness. It is easy to assemble and the carbon spars frame firmly withstands high speed crashes. Age recommendation: 14+; wind range: 6-25mph. An almost perfect copy of Sopwith’s First World War fighter plane, this kite is made from ripstop nylon stretched over a glass fibre frame, with a 1m wingspan. It can fly in wind speeds of 6-16mph so isn’t the hardiest kite, but certainly looks the smartest. How to fly a kite train. Where was the Kite invented?